June 14th 2011 – 1pm at the Phuket Governor Office, Mr. Chung Hae-Moon, Ambassador from the Republic of Korea and his delegation came to visit Mr. Tri Augkaradacha the Governor of Phuket Province. Mr. Chung Hae-Moon said Phuket is the province they most like to visit and that every time they visit they are required to meet the Governor. The reason for this meeting was to talk about the relationship between Korean’s who live and travel to Phuket and the local people. The Koreans are impressed by the natural beauty of the island and the friendliness of the local people and they feel they have plenty of reasons to come back to Phuket. 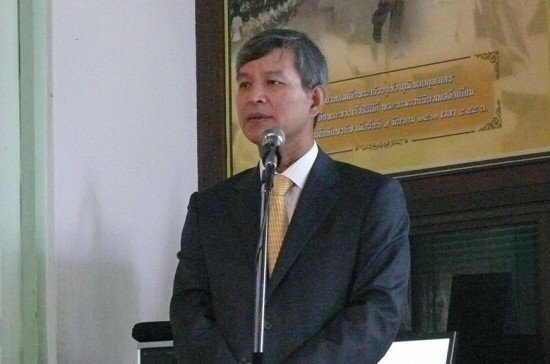 The Ambassador feels confidant that the future of Phuket and Korea will be more relevant the more they come, and so far the reports from the Honorary Consul of Korea, Thotsaporn Thepabutr, are that Koreans never has been any serious problems. Mr. Chung Hae-Moon added that he felt good and was very impressed with Phuket and wanted to thank Phuket people for the assistance and care given to Koreans who visit or live in Phuket. From September 2011 there will be 59 schools nationwide offering Korean Language Courses, all of which have been selected by the Ministry of Education. Unfortunately he cannot say where these will be. All schools will be provided with teachers who will receive full training prior to teaching.